Welcome to the Mobalytics Predictive Tier List for League of Legends for Patch 8.14! Here are the Patch 8.14 notes for reference. ADCs have been slightly buffed, is it enough? Nope, not yet. 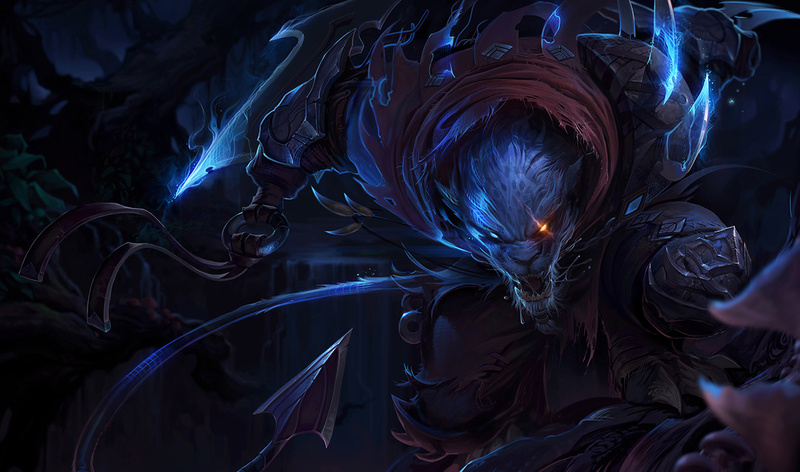 Yorick has hit Optimal due to his amazing matchups against popular meta champs like Darius, Mundo, and Garen. If he gets ahead, he can 1v2 during lane phase and eventually snowball games with his ability to split push into the late game. Garen has been slowly creeping up to become one of the most reliable and Optimal Top laners for climbing solo queue. His simple kit and health regen make him easy to execute and hard to screw up. He can defeat any champ except for Quinn and Yorick – you’ll want to avoid or ban those matchups. Rengar Top has also risen in popularity recently. He can abuse the brushes to win lane with his leap and can even turn 1v2’s if his player is skilled enough. You’ll need good mechanics and an aggressive mindset to pull off his full potential to bully in lane, score kills, and snowball your lead into other lanes. Rengar moves to Optimal at Jungle as well for similar reasons as Eve (more on her below). The available targets for him to pick off have greatly increased with the lack of tanks in most roles and due to the increase of squishy mages. Kindred received consecutive buffs in recent patches and the results have been monstrous. Not only that, but many of the common meta comps involve assassins, divers, and burst mages, all champions which Kindred’s ultimate is great against. Eve excels at killing squishy champions, especially AP champions since their itemization often lacks magic resist. Right now, mages are very popular in three different roles and give Eve a large number of potential targets to pick off. Conditions are Optimal for her. Due to Liandry’s Torment buffs, bot lane Swain can punish immobile carries very well. His kit synergizes incredibly well with Supports who can set up his passive pull. Mordekaiser is interesting because he’s unpopular and riddle with bugs. However, he is still performing incredibly well despite his shortcomings. He shines in bloody games where you can often end early off Dragon Ghosts. He also benefits now that the meta has shifted away from Enchanters and toward aggressive Supports. Heimer’s lane priority in combination with his DPS for taking objectives in the late game like an ADC makes him an Optimal pick for the first time on our list. Overall, he’s an upgrade to the traditional bot lane carry due to his early pressure and strong transition to the mid and late game. Zoe’s power when ahead is completely overwhelming and her overall power is Optimal when in the hands of a pro-player. However, due to her lack of survival skills against popular assassins, we’re moving her down a tad for everyone else in solo queue. She’ll still be Great but we’re watching her closely to see if she moves back up to Optimal. Graves is moving down from Optimal not because he got weaker, but because other Junglers have become stronger. If Graves falls behind in chaotic early fights and skirmishes, he can feel underwhelming in comparison to his peers. After the hotfix nerfs to Nocturne, his ability to straight up one-shot champs has been greatly reduced. Sadly he’s falling off of the list for Mid lane due to these reasons. Irelia’s nerfs have caused her to lose so much burst that she can hardly threaten squishy Supports and ADCs. She’s falling off our list for now. Ezreal currently doesn’t give enough pressure in lane against the popular picks. He’ll concede lane and doesn’t scale hard enough to make it worthwhile, making him fall off our list. Nerfs to Rageblade and his W have brought Kog’Maw’s early game in line with other hyper carry ADCs, meaning that he’ll be forced to scale in order to be effective. The problem right now is that Kog doesn’t reliably get to late game and Enchanters have decreased in popularity. The days of Lulu, Janna, Sona, and Soraka babysitting and making Kog a monster are over for now. It’s back to Great for Bard, unfortunately – he simply wasn’t as strong as we thought he’d be. He still maintains the ability to completely run away with the game by making frequent picks and roams, however, he just doesn’t have the same lane dominance that other Optimal picks have. The ability to get off to a good start with a strong lane is imperative in this snowball meta. As always, we welcome all discussion and feedback. If you have any questions about picks that we didn’t expand on or would like to let us know how you feel about Patch 8.14 and our predictions in general, join us in our Discord! If you’re wondering how we make our tier list, check out our video explanation. Just sayin’, Kindred (Lamb specifically, who you directly control) is a she. Notice it refers to Lamb as “she”. That is not false, you are wrong. Although listening to the video again I heard him say “she” so I think I just wasn’t listening closely before. Bro what happened to lee sin? from A tier to none? i dont understand :(? is he really bad on this patch? or the win rate numbers are not with him? Why Lee sin isn’t un the jungler A tier anymore? How do you guys see Gnar in the current meta? Taric is should fall under “sever” difficulty or at least “hard”. His ult is hard to get right, you need to time his shield, you need to auto attack weave, you need to have good positioning to land his stun, you need to predict your linked allies movement if you want to land a stun. Picking him up for the first time is really not that easy.